Go Tri Pells Pool is off to a flying start! 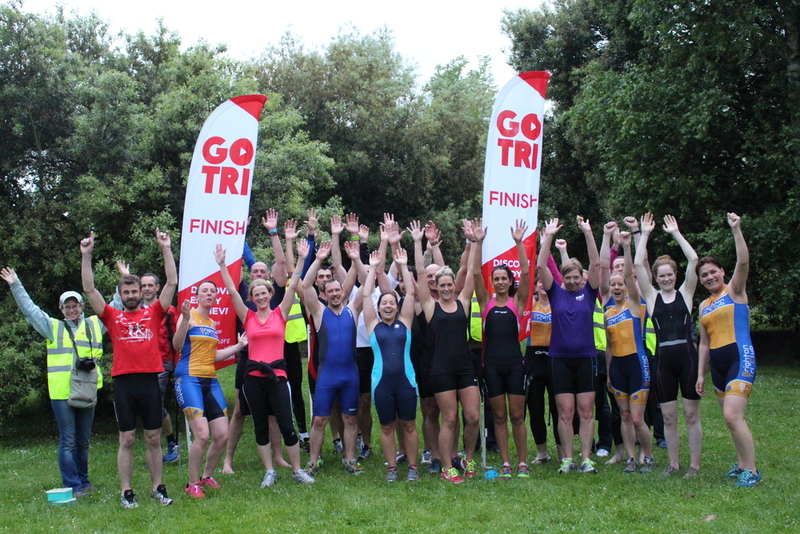 On Wednesday 28th May 2014, Brighton Tri Club held the inaugural Go Tri Pells Pool Aquathlon event. As a restricted entry event to get us started this provided both athletes and club with a great opportunity to try out the event format and thoroughly soak test the organisational skills of our Race Director, Kevin Hancock. The event itself comprised 18 athletes split into two "waves" - a group all starting their swim at the same time. Chip-timing bands on wrists, our brave competitors hit the water for three continuous loops of Pells Pool totalling some 300m of swimming, before exiting up the pool ramp and heading to Transition. There was a wide range of approaches to the transition, made more complex by the decision of many of the athletes to wear wetsuits, despite the almost balmy temperature of the Pells water (18º and it's still only May!). There were a few speed merchants who had shoes on and were gone in seconds, many spending time remembering how to tie their laces (hot tip: elastic laces are great) and at least one who nipped off to the changing rooms for a full clothing swap. Two of our competitors also decided to call it a day after the swim and opt to cheer the rest on rather than run the course. Once out on the run course there was an opportunity to properly warm up and enjoy the scenery. Running on the neatly mown grass of Lewes' Malling Recreation Ground means much less impact on the joints than road running and allows people to really put their all into the 3.5km course. The two waves pushed around the three loop run course in some great times and were welcomed back into the finish chute by the loudly cheering spectators and marshals. If the adulation wasn't enough, Rich had even brought free flapjack to share around! Well done to Mona Sorensen (first lady) and Keith Rochfort (first man and overall fastest), and to everyone who put on a great show - and had fun doing so. The results are now published, so go check them out! Thanks are due to the organisational team under Kevin and Alex including all the marshals who gave their time to make this happen, and also to Triathlon England for their fantastic support and the Go Tri structure that makes these events possible. Roll on 11th June and the next Go Tri Pells Pool!